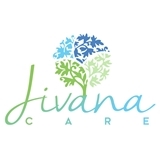 Jivana Care (Rockville) - Book Appointment Online! At Jivana Care, we offer experienced and compassionate primary care services to our patients. With same day appointments and flexible hours on a daily basis, coming into our primary care clinic is a great option if you are having a minor medical injury. Our knowledgeable physicians have worked in primary care for a number of years and are prepared to help you and your loved ones in your time of need. We treat a variety of injuries and illnesses, and accept a wide variety of insurance plans. Our primary care health center offers you and your family hospital level care, without the headaches of long waits and overpriced healthcare of a hospital or urgent care room. We are conveniently located in Bethesda, MD and are open for some weekend hours as well. In addition to our primary care medical services, we offer on-site lab & diagnostic testing, Physical Exams, and chronic care management. The address on your app is wrong and I had to take an uber and be 30 mins late to my appointment due to that.